//	Would you have bought the HTC U11 Life if it came with support for Google Project Fi? Would you have bought the HTC U11 Life if it came with support for Google Project Fi? It’s now more than two years since the Google Project Fi program went live and so far, not so bad. Although the exact figures are not clear, Project Fi is now serving tens of thousands of Americans. Like every other carrier, Fi has its advantages and disadvantages, but there’s no doubt the former outweigh the latter. Or maybe look at this way – Fi is aimed at a specific audience and it’s not meant for everyone. If you happen to fall into this “specific audience” there’s for sure nothing to regret about Fi. Project Fi is the best you can have if you travel across the globe regularly. You don’t need to buy a new SIM card in more than 135 countries you visit, rather, Fi will still be at your service. For those whose lives revolve around areas with super-fast Wi-Fi hotspots, you can save a lot with Fi. As you can see, Google Project Fi is meant to help you save more money, but this idea somehow became redundant when the tech giant jumped from the Nexus program to the new Pixel program, which targets premium spenders, at least to be fair. With the Nexuses, Project Fi had a meaning, but with the Pixels, a larger part of it is no more, which is why the Moto X4 Android One was released a few weeks ago. With the Moto X4, those who were targeting to save more money right from the start now have an option on Project Fi. At $400, this Android One phone reminds many of the Nexus program, but let’s be honest here, if it weren’t for the support for Fi, many Americans wouldn’t be buying the Moto X4 at that price and specs combination. 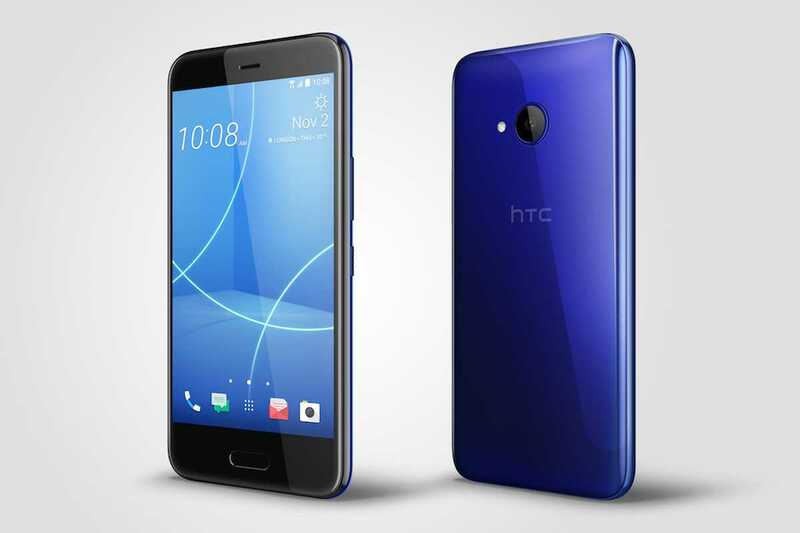 Which brings us to the new HTC U11 Life, a phone that comes in two variants – one for the U.S. market and the other targets the rest of the globe. The HTC U11 Life is by no means a great phone. It comes with a decent build and hardware package, but only as good as the midrange market. The problem here is that at $349, the U11 Life has just entered a territory that isn’t so competitive in the U.S. It gets even worse to know that at such a price, you can still get a decent flagship phone from 2016. Like the Moto X4, one thing that would have made the HTC U11 Life a desirable phone is support for Google Project Fi. As it is, Google has shown us that it’s ready to use the Android One program to bring budget phones to Fi. While the U.S. is getting a U11 Life version with HTC’s Sense UI on top, the rest of the world will be getting the Android One version of the same phone. Interestingly, the Android One version of the Moto X4 is limited to the U.S. market while the rest of the world gets the one with Motorola’s software. As you can see, vice versa is true for the U11 Life. My point here is that the U11 Life looks like a great phone, but at a price of $349, mediocre specs and worse of all, no support for Google Project Fi (at least), HTC seems to be headed into one of those famous pits it has recently been digging for itself. With the U11 Life missing out on a spot on Fi, both companies seem to be on the losing end. Just so you know, the HTC U11 Life comes with a 5.2-inch LCD display screen with a Full HD resolution, a Qualcomm Snapdragon 630 processor clocked at 2.2GHz and mated with 3GB RAM alongside 32GB of expandable storage. The cameras look great on paper – 16MP units on both ends. The main shooter supports PDAF, HDR, 4K video recording and has a LED flash. The front shooter, on the other hand, only manages 1080p videos, but it also supports HDR and panorama. Both sensors have the same f/2.0 aperture, which is wide enough for enhanced performance in low-light conditions. To keep it alive is a 2600mAh battery unit that is charged via USB-C port and software-wise, you get Android 7.1.1 Nougat, but HTC says the U11 Life will get Oreo before the end of this month. Other features of the phone include Bluetooth 5.0, front-mounted fingerprint scanner, IP67 dust and water resistance and no 3.5mm audio jack, which should be one of the worst decisions regarding the U11 Life. For any phone that is targeting the midrange and budget markets, having a 3.5mm audio jack should be a no-brainer. And yes, those edges are squeezable, just like the rest of the U11 family and Pixel 2 phones. So, would you have bought the HTC U11 Life if it came with support for Google Project Fi? Let us know in your comments below.